week 1- High-pressure should grow over the mountains in the west and the Great Plains continuing warm and dry conditions here. From St Louis east, look for cool and wet conditions from the Great Lakes to the Ohio Valley. The west should be warm and dry, the east cool and wet. 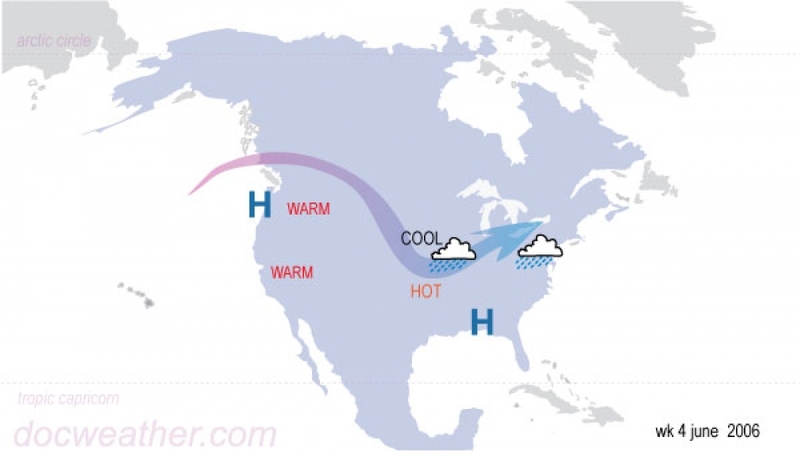 week 2- Look for an increase in heat and dryness in the western half of the country. Only the Northeast should see some moderate moisture and average temperatures. week 3 Look for high-pressure on the West Coast to push the jet up into western Canada. This should raise temperatures on the coast and bring cool and wet conditions to the Midwest and the Mississippi Valley. 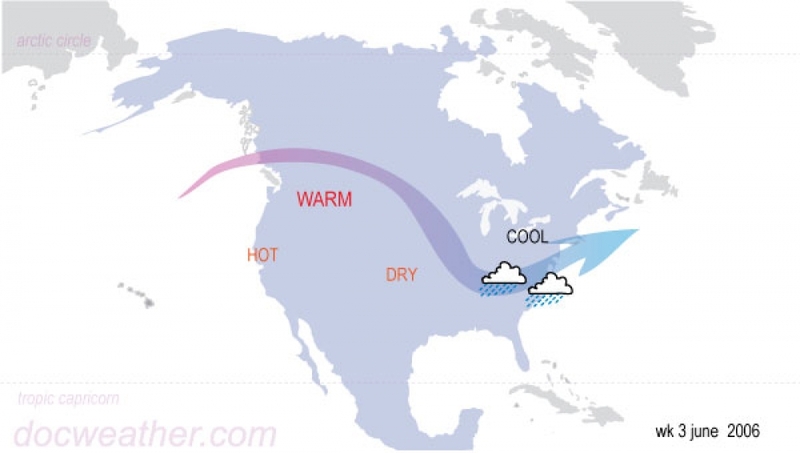 East Coast- Cool to the north with rain down to the Mid Atlantic states.